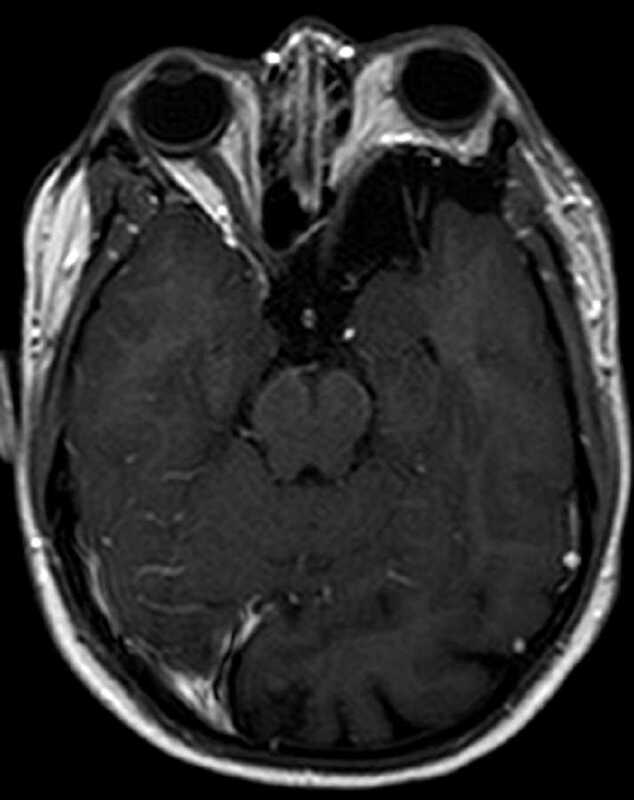 These images demonstrate deficiency of the left sphenoid wing with bulging of the meninges and peritemporal CSF into the posterolateral aspect of the orbit resulting in moderate left proptosis in this patient with a history of NF-1. 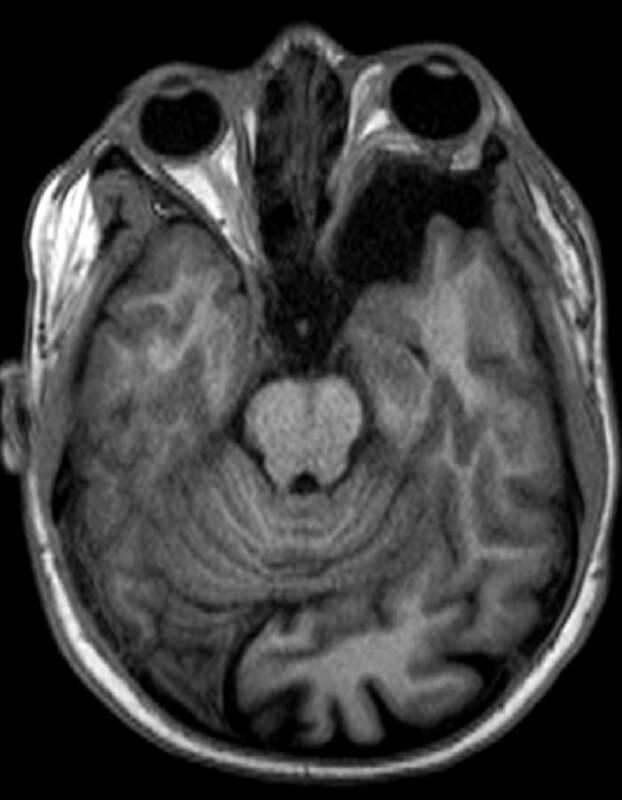 There is asymmetric expansion of the left cerebral extra-axial spaces. 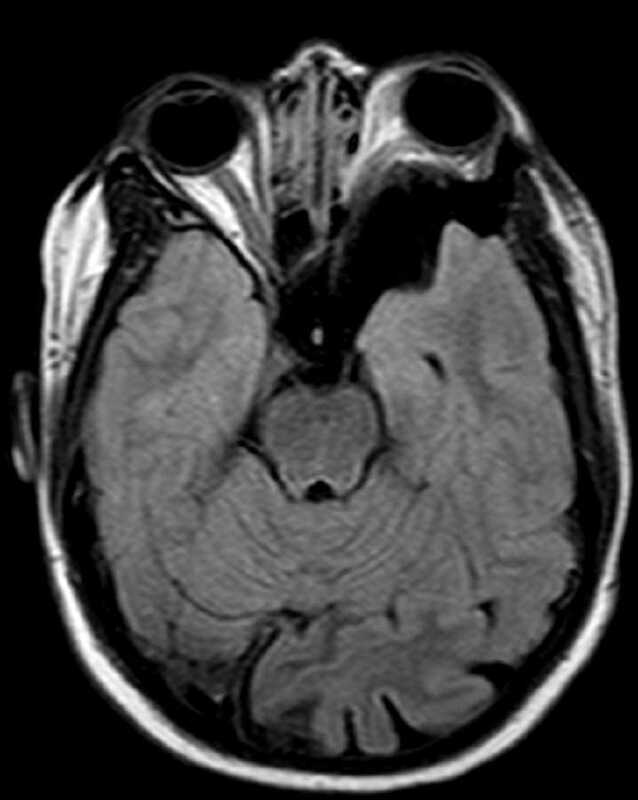 No associated plexiform neurofibroma is identified. 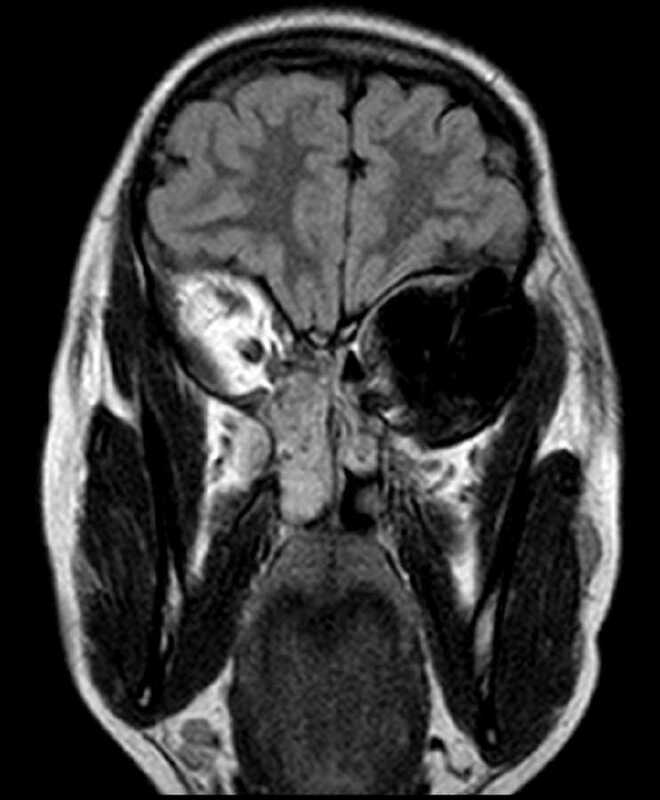 Findings are consistent with sphenoid wing dysplasia which is seen in less than 10% of patients with NF-1. 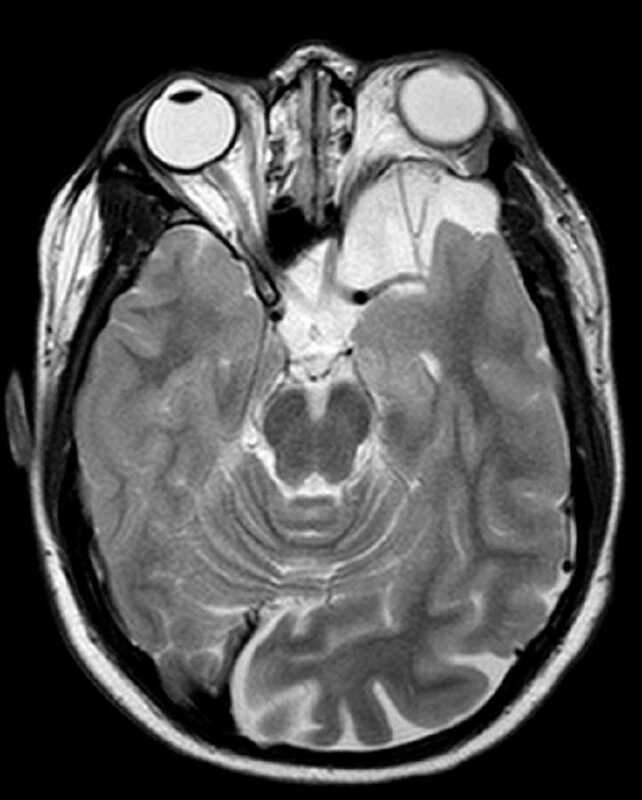 Patients with this deformity may present with pulsating exophthalmos and diplopia. 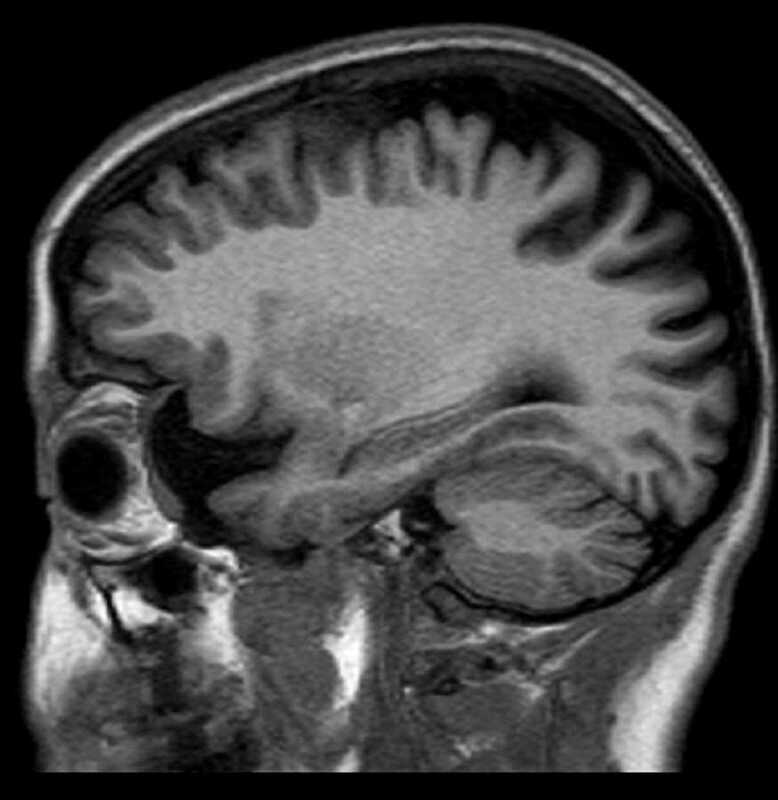 Management usually consist of surgical reconstruction.